Speedy the cheeky house bunny: Bacon and Fozziemum's Shopping around the World! So we are a bit late with this on but we thought we would still give it ago with Bacon's and Fozziemum's Shopping around the world! Its interesting to compare every ones prices. And here as some photos from last nights walk! Your furs are so white, Mommy wonders if you *glow* when out in the dark with just the moonlight? She's curious because Whisky used to *glow* when she was out under the moonlight. 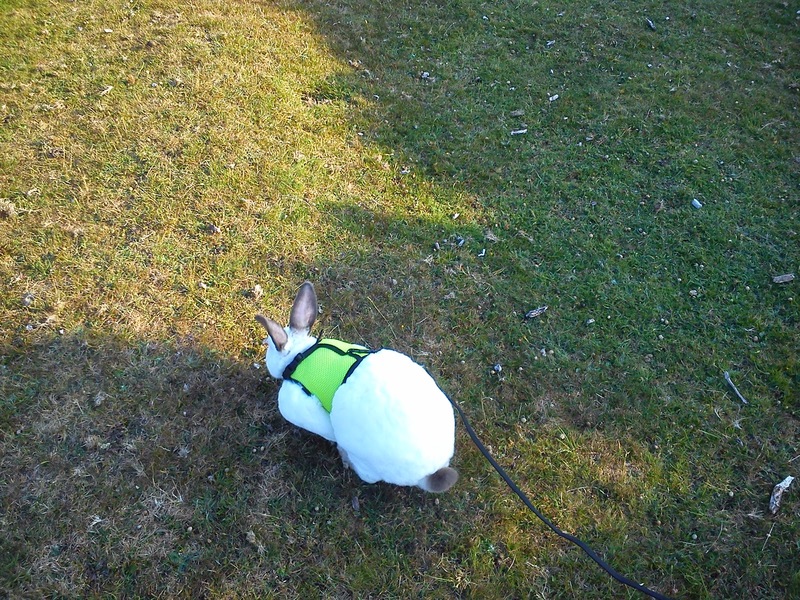 We love to see you enjoying the outdoors in your harness, Speedy! Looks like a great walk Speedy! Your prices don't seem much different, but then again it's late and I can't think properly with math right now lol. And the prices here in the STATES also vary as well for gasoline and food! Oh Speedster, you are enjoying your summer strolls, aren't you, son? Speedy we hope you enjoyed your walk and we hope you are staying cool. Have a tremendous Thursday. It's so much fun to see price comparisons around the world! Bacon has great ideas. Thanks for sharing, Speedy. You are such a good walker Speedy and a darn good shopper too! Do you know how long it's been since I had bacon in the house? LOL! You're a good shopper, Speedy. We hope you enjoyed your walk! Speedy you look so adorable on your walk. I enjoy seeing the different prices of where others live. 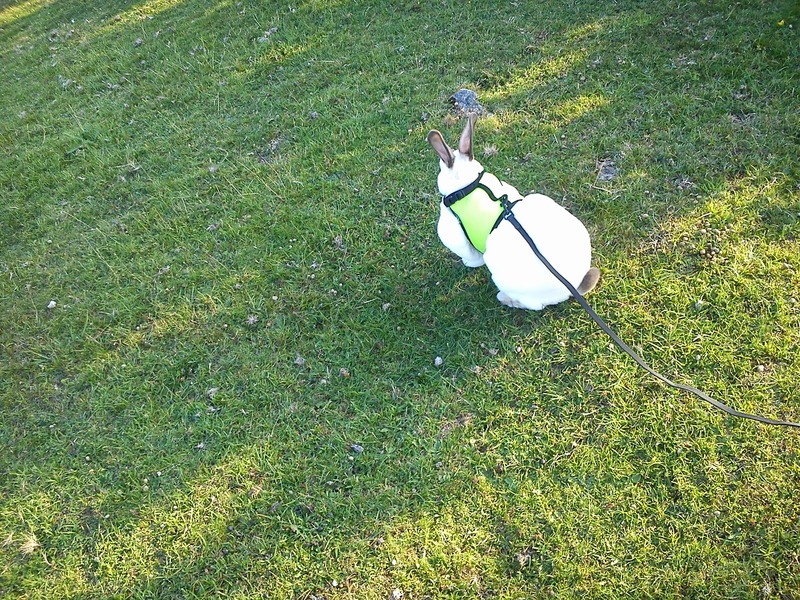 Speedy, you are SO CUTE in your harness! There are so many different brands of food all over the world & that alwys surprises me. Aw, Speedy! You look adorable in your little harness! 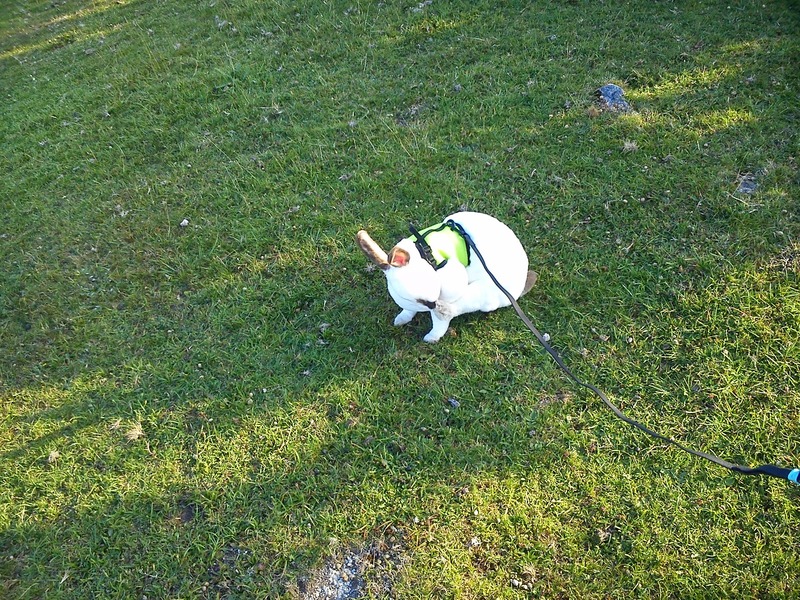 I didn't know bunnies were taken out for walks, and that is PAWsome!!! I tried to walk Mikko once, before Jax came along. It didn't go very well. He just laid there and didn't budge! We love seeing all the different prices from all over the world. Speedy, you look very spiffy in your harness. 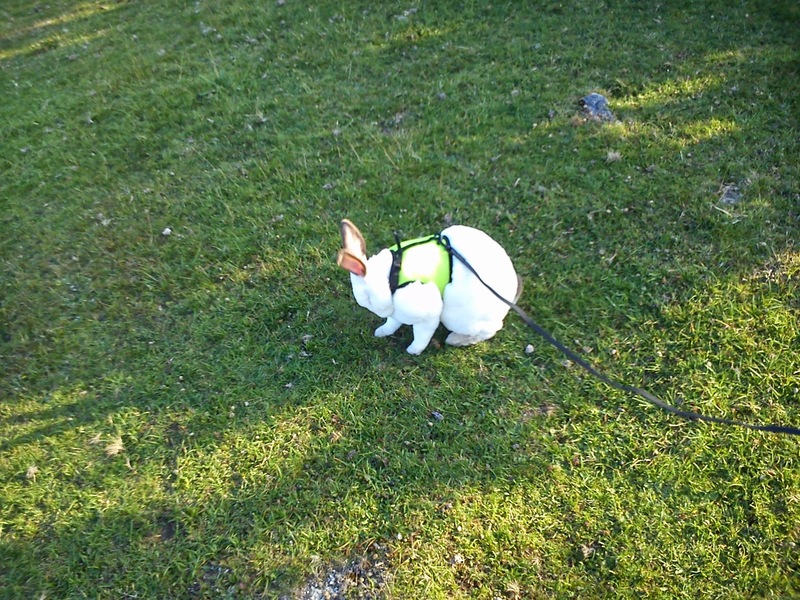 Lookin as good as ever in that harness my bunny pal! Always interesting to compare prices with other countries. I think toilet paper is cheaper here and meat more expensive. Speedy, you are bigger than me! Your prices seem pretty good actually! Love the evening pics, they make your furs glow! Luv da fotos Speedy. Yous purrices look purretty good. Hope yous havin' a pawsum weekend. the world shopping tour is always so interesting, but seeing you outside enjoying yourself is the best!